Multi process welders (aka, 3-in-1s) are among our best-selling welding machines—especially among serious weekend welders and professionals who weld on the job, like auto mechanics or HVAC technicians. Wonder what the fuss is about? Read on. One near-obvious benefit of a multi process welder is versatility. As the name suggests, 3-in-1s can weld MIG (GMAW), TIG (GTAW) and stick (SMAW). Yet because they can drive welding wire, multi process welders can also handle flux-cored (FCAW) applications. Many 3-in-1s are spool gun compatible, so you can use them to MIG weld aluminum. Adding to this versatility is the fact that most of these machines are dual voltage. That’s right: Many multi process welders run on either 240 or 120 volt power. 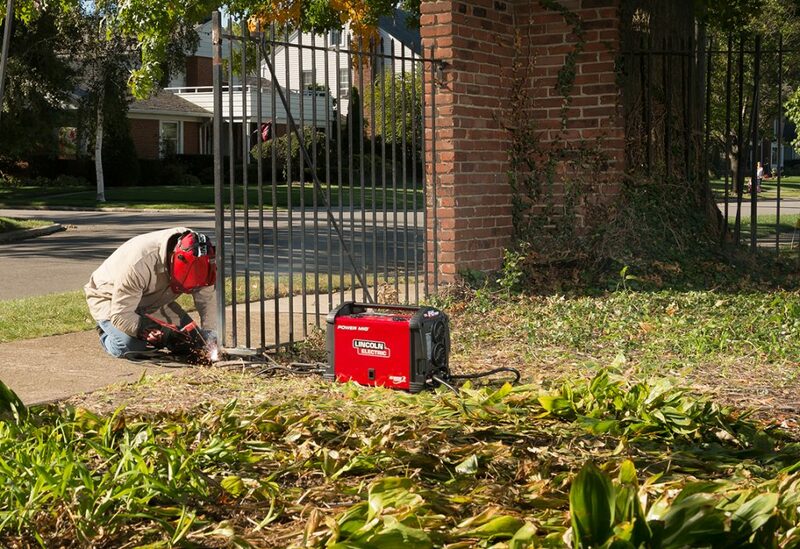 Sure, a multi process welder will deliver more power when running on 240 volt, but not every jobsite or home has 240 volt power. So whether you’re needed in the field or at your buddy’s garage, your 3-in-1 will be ready to melt metal. Another positive is weight. Or a lack of it. Most 3-in-1s weigh under 50 pounds. How does a machine this light do so much? Innovations in inverter technology have allowed manufacturers to develop machines that are lighter, more powerful, and more versatile than grandad’s stick welder. While welding manufacturers were designing lighter and more powerful welders, they were also making them easier to use. 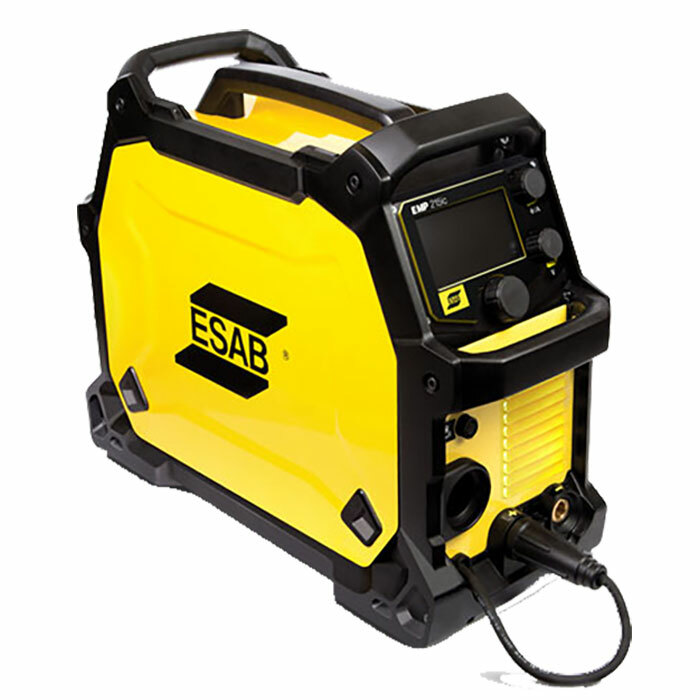 The latest multi process welders feature smart modes (packaged under a host of brand-specific names like Auto-Set Elite or sMIG) with intuitive colour displays and automatic settings. This benefits new welders and experienced fabricators alike. In the past, a fabricator using a MIG welder would have to determine a suitable wire speed and amperage based on material thickness, wire size and gas type. Using a smart mode, that fabricator can enter known variables—wire size, material thickness, gas type—and the machine will automatically set the amperage and wire speed. Each process has an applicable smart setting, so your 3-in-1 machine will function its best. These settings are adjustable, so you can take the machine’s recommendations and further tweak them to your liking. Or you can set the machine to manual and follow that handy parameter chart inside the welder. If you are an experienced MIG welder and want to take a crack at TIG welding or stick welding, a multi process welder equipped with smart technology can allow you to hone your skills and experiment with different processes and techniques. These machines have few limitations, but they are worth listing. You can’t use a 3-in-1 welder to TIG weld aluminum. They are limited to DC lift TIG and DC stick. The second drawback is price. Multi process machines are more expensive than dedicated MIG welders with similar power output. But check out our best-selling 3-in-1, the Lincoln Electric 210 MP, and you’ll see that the price gap is narrowing. For many welders, though, the benefits of a multi process welder easily outweigh the added cost. And owning one machine instead of two or three saves space in your workshop. The multi process welders we sell have a MIG torch and stick stinger included. Some 3-in-1s, like the Lincoln Power MIG 210 MP with TIG One-Pak, come with a TIG torch in the box; most don’t. Your spool gun is also an add-on. Versatile, lightweight and easy to use, multi process welders are ideal for welders of all skill levels. If you are upgrading your old MIG machine or buying your first welder, consider spending a few extra dollars on a multi process welder. Plus, February is welding month at KMS, so it’s a great time to invest in a new welder. We have amazing prices on all kinds of welders and consumables in store and online. 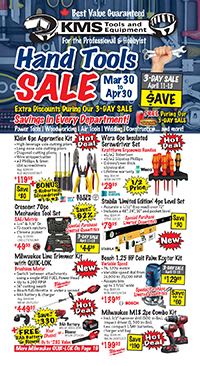 Peruse our eflyer or stop by your nearest KMS location for more details.